A few years ago my friend Sarah and I volunteered to help out at an elementary school carnival. It was one of the most fun times I can remember; we were doing something to help out other people and having a great time. Sometimes a vacation needs that special touch and volunteering or helping out can make your vacation something you’ll never forget. And that doesn’t mean you have to give up your vacation time! There are volunteer trips in Cabo where you can fully devote yourself to a cause, however the list below are ways to volunteer and still have a vacation too. 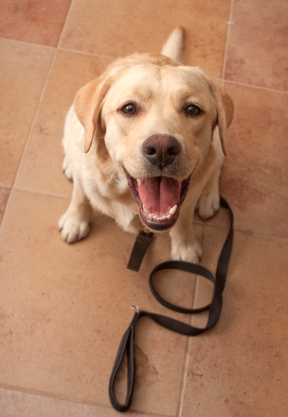 Walk a Dog for the Humane Society – The Humane Society in Cabo is always looking for dogwalkers. Spend a morning or two with some pups in need of home. Attend Charity Events and Auctions – Many places have charity events or auctions that visitors can attend. They are often a lot of fun – with everything from golf tournaments to sit down dinner. Cabo restaurants host numerous Auctions for charity. The Shoppes at Palmilla also occasionally hosts events as well. The Los Cabos Children Foundation also holds many annual events throughout Cabo. Call ahead or check our calendar to see if one is happening during your vacation. Help the Sea Turtles – Many hotels and tour companies offer visitors the chance to help protect the endangered sea turtles that lay their eggs on the Cabo beaches. You can help find turtle nests or you can release the babies into the sea. Ask your concierge if your hotel participates or if they can help you find a tour. Travel with a Group – If you are traveling with a large group like wedding or hosting an event like a convention, the Marquis Los Cabos hotel will give $1 to a charity of your choice for every $7 dollars you spend at the resort. Imagine helping just by having a good time! Go Shopping – A lot of art galleries tend to support charities. In particular at Muvezi 20% of every sculpture sale goes toward malaria relief in Africa. Sometimes even hotel gift stores have local products that support a cause. Have you volunteered in Cabo or know of another way to volunteer? Tell us about it!